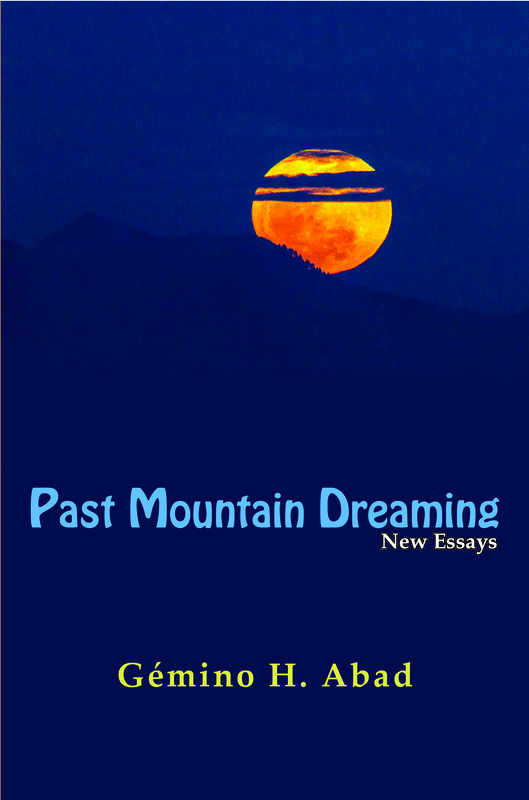 Past Mountain Dreaming comprises thirteen essays on poetry followed by three “historical overviews” on our poetry from English and a concluding essay which sums up the author’s reflections on his own poetic and critical practice. His “poetics” assumes that the poet’s singular aim is the perfect word-weave as lightsome or as deep as the thing that the mind has perceived, imagined, or intuited. Apart from the significance (saysay) of the poem’s subject or theme (paksa), which is basically an interpretation, what is as crucial is the manner of expression, the poet’s own way with language whereby the poem’s “soul” or meaningfulness (diwa) is forged or endowed with its distinctive form: that is, the exact configuration of what has been experienced, imagined, or intuited. Such a poetics is only one possible theoria: that is, a particular standpoint or way of making sense that flows from certain basic assumptions about the nature of the literary work as both work of language and work of imagination. In the sciences, and more so, in the humanities, any theoria has its own explanatory or heuristic power for its proper object, but is valid only insofar as it serves its purpose; thus, as to its currency, it has a certain life span during which it may take on various refinements and transformations. Gémino H. Abad, University Professor emeritus of literature and creative writing at the University of the Philippines (UP), is a poet, fictionist, and literary critic and historian, with various honors and awards. In 2009, he received Italy’s Premio Feronia (“Foreign author category”) for his poetry translated into Italian by Gëzim Hajdari and Amoà Fatuiva. Where No Words Break (2014) is his tenth poetry collection, and Past Mountain Dreaming: New Essays (2015), his ninth collection of critical essays; he has also two collections of short stories, Orion’s Belt (1996) and A Makeshift Sun (2001). He is known also for his three-volume historical anthology of Filipino poetry in English from 1905 to the 1990s – Man of Earth (co-ed., Edna Zapanta Manlapaz; 1989) and, as sole editor, A Native Clearing (1993), and A Habit of Shores (1999); and a six-volume historical anthology of Filipino short stories in English from 1956 to 2008 – Upon Our Own Ground (2008); Underground Spirit (2010); and Hoard of Thunder (2012). He is currently, with Mookie Katigbak-Lacuesta, working on the sequel anthology to A Habit of Shores. He obtained his PhD in English at the University of Chicago in 1970, and continues to teach at UP where he has served as Secretary of the University, Vice-President for Academic Affairs, and Director of the UP Creative Writing Center (now an Institute).